This little book is filled with bright photos and interesting facts-perfect for budding rock-hounds! It is a simple guide to get you started and hopefully spark your interest in further rock and mineral exploration. 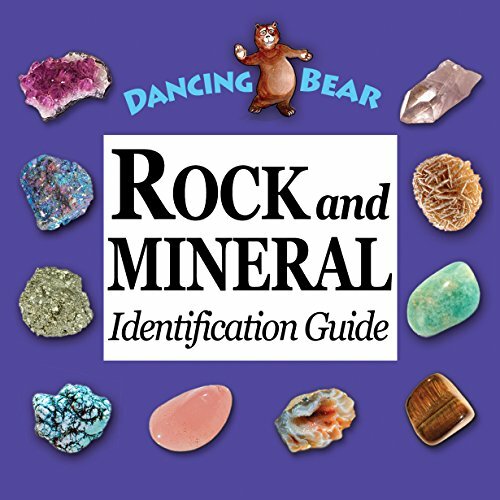 Learn how to identify and classify rocks and minerals. Each rock title has a phonics key so you can pronounce with ease. Mohs scale and accompanying instructions provide fun and educational activities. 100% Satisfaction Money Back Guarantee. Printed in the USA, 4" X 4"
Dancing Bear creates products to help people get back in touch with Mother Nature! Rock & Mineral Guide Book for budding rock hounds! 5 books, 27 full-color pages each, Pocket-size, 4" X 4"
Each book costs just $3.00! If you have any questions about this product by Dancing Bear, contact us by completing and submitting the form below. If you are looking for a specif part number, please include it with your message.